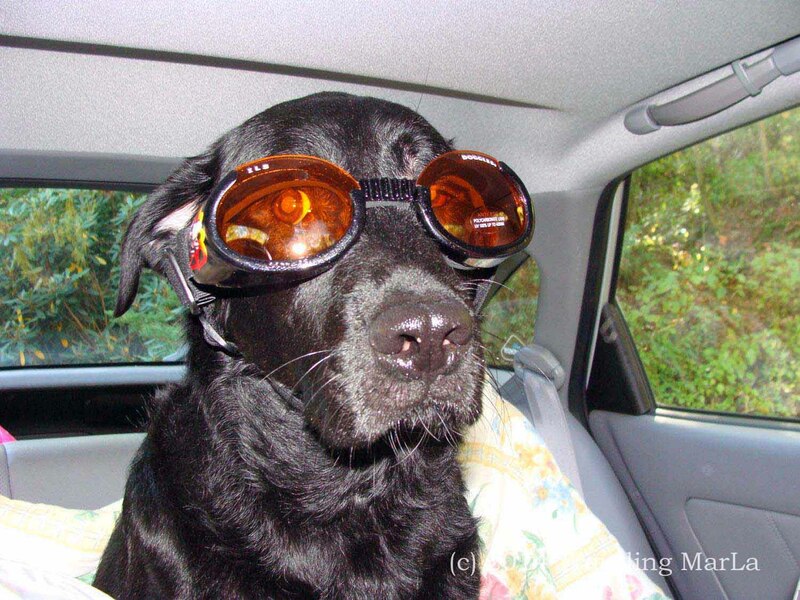 I was preparing a few posts for next week when I came across some old photos of the time we bought Baxter a pair of Doggles. 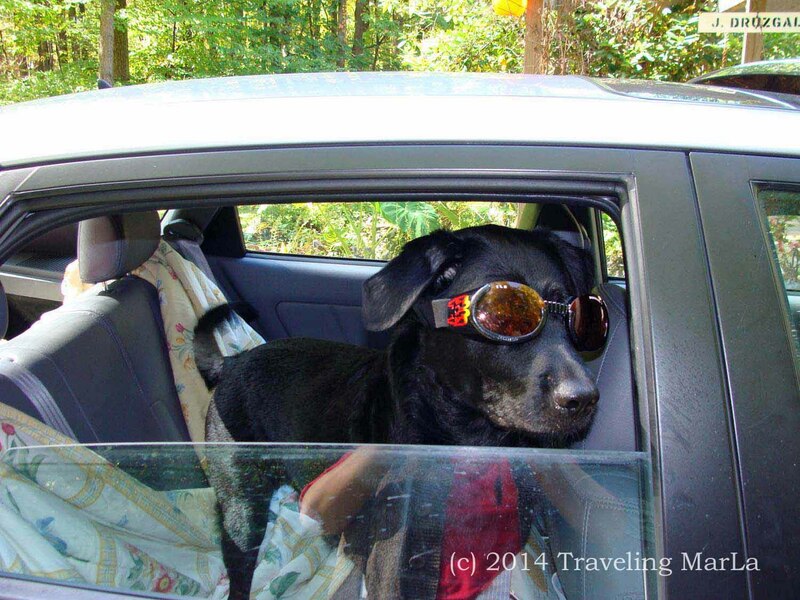 Doggles are eyewear for dogs who like to hang their heads out car windows. I had been reading about retinal tears in the eyes of dogs enjoying fast highway rides, and became convinced that although Baxter had survived his first four years hanging out the window with eyes wide open and tongue flapping in the wind, he would suddenly become a blind-dog statistic, simply because I had ignored the horrors of joy-riding canines. Bax wasn’t too keen on his new accessory. And this is a dog who loves his bandannas. This, of course, had nothing to do with his “mommy” conditioning him by putting a bandanna on every time he was going for a ride or a walk, or visiting people. It was because he was just a stylish dog. Of course. Whether he liked them or not, nothing was going to stop Baxter from enjoying a nice head-out-the-window ride. After some sweet talking, biscuit bribery and firm “Tsch!” (Dog-Whisperer style) each time he tried to paw them off, Baxie finally resigned to his fate of wearing Doggles in the car. Maybe he thought it was just another step up in the car torture that was his harness seatbelt. an unrestrained 80-pound dog in a crash at only 30 mph will exert approximately 2400 pounds of force. Naturally, Kurt and I had to take turns trying the Doggles, but alas, we just couldn’t pull off the style as well as Mr. Baxter. 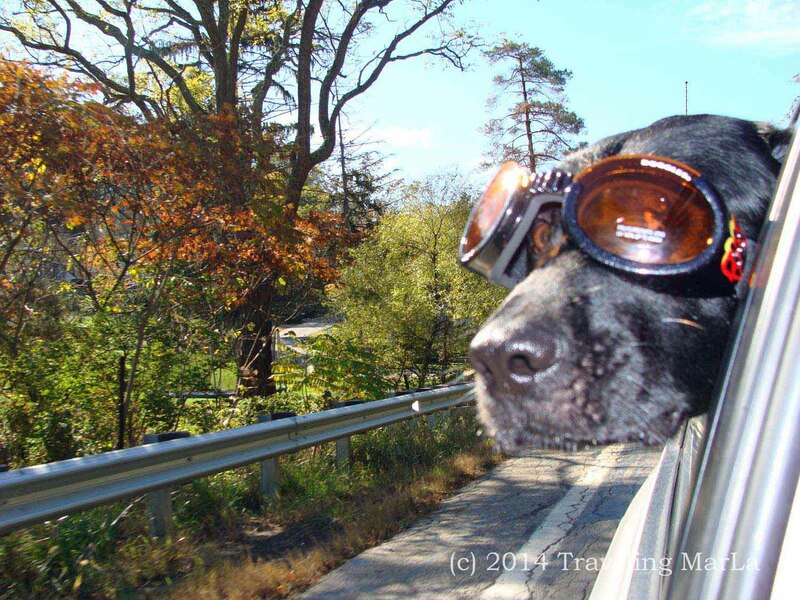 Baxter’s Doggles lasted all of about a month until they were lost, or “lost”, or chewed apart, or donated to Aviators-without-Doggles. 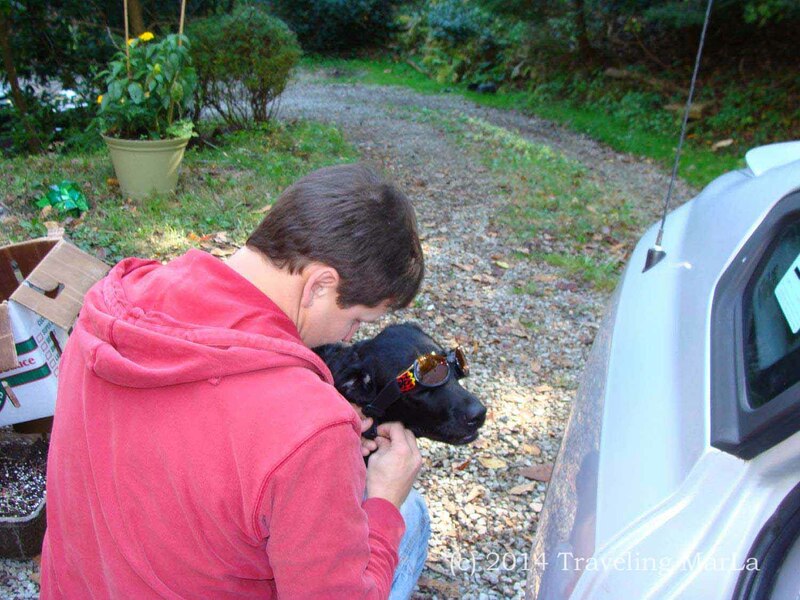 Baxter getting ready for his first ride in Doggles. Except for Baxter’s bandannas and the occasional sports-team shirts (oh, and okay that one time I dressed him as Bax-vader) I am not the kind of person who puts clothing on my dog. But if you convince me he’s going to be maimed by projectile gravel at 60mph, you’ll get me to buy Doggles. I can only imagine the reactions here in South Africa if we had him with us, decked out in bandanna and Doggles. Poor Baxie has always been such a good sport. 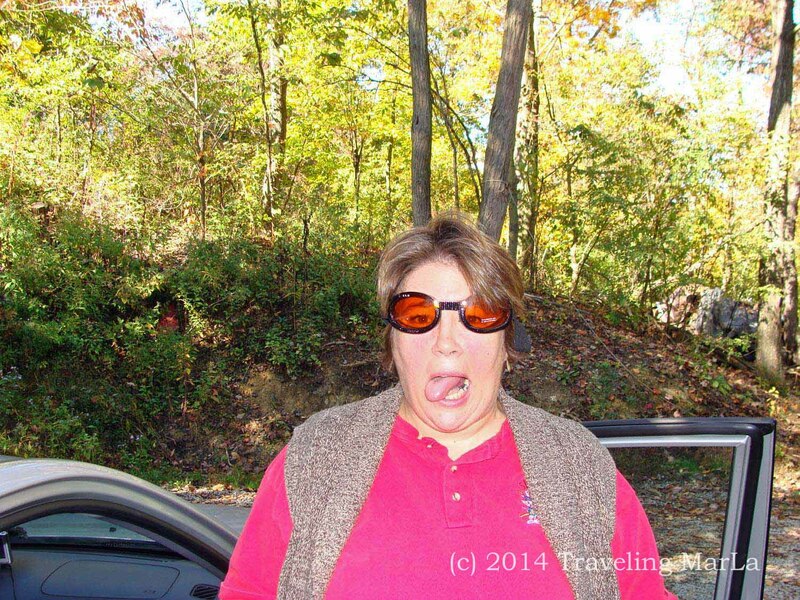 Baxie is currently with his grandparents in Indiana, PA, and as I’m wondering how fast they drive him down Route 422 with that infamous tongue dragging on the pavement, I try to think where those Doggles might have gone and how I might bribe the in-laws to consider using them. Then I think about the intense winter they’re having, and wonder if I should just order them a set of Hott Doggers snow boots. 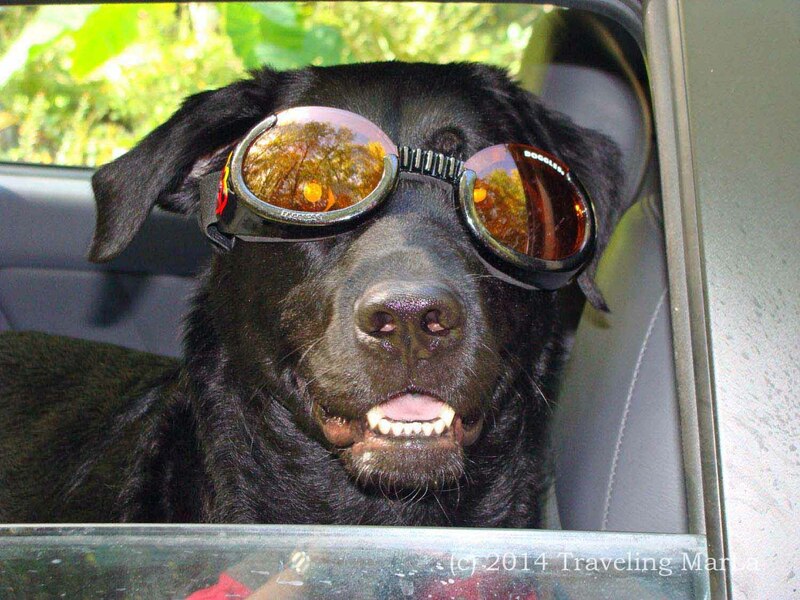 Traveling Marla wearing Doggles. You may notice that the humans are actually the only ones with tongues hanging out. Hahaha…I always wonder if life is like this for one of Angelina Jolie’s adopted kids….”here Zahara, try on this cowboy hat and tutu! 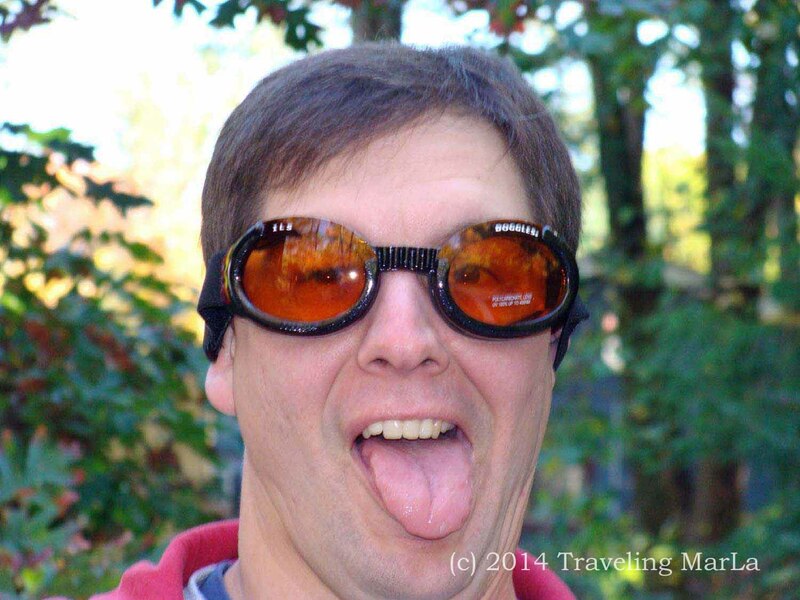 And let’s not forget to wear our doggles!” Haaha! Cool pictures! I’m sure you miss Baxter – how is he doing with Kurt’s Mom and Dad?